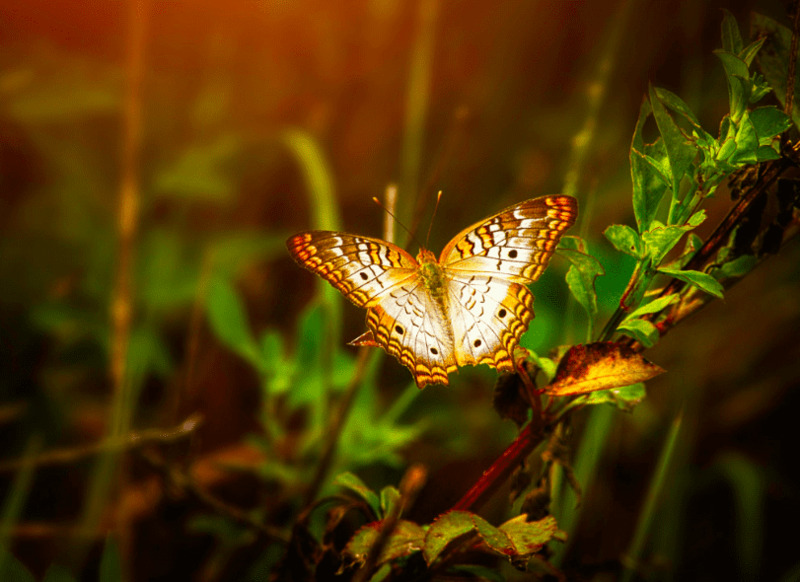 Walk Among Hundreds of Living Butterflies and Colorful Birds! Take a stroll through a tropical paradise... walk through an exotic and inviting environment filled with hundreds of the most beautiful winged creatures in nature -- butterflies. During your breathtaking journey you will experience an impressive collection of flowering plants, cascading waterfalls and trees that set the stage for the “flowers of the sky.” Witness some 50 to 60 different species from around the world, as well as varieties of colorful birds, all under a climate-controlled, glass-enclosed habitat.